This month, CGS will be celebrating its 35th anniversary. In honor of this occasion, we’d like to take a moment to step back in time to the moment when CGS came into existence. It’s important to set the scene back to the 1970s in the Soviet Union. We’ll take a closer look at a man who lived behind the iron curtain, CGS founder, President and CEO Phil Friedman. With a lot of determination, risk and hard work, he created one of New York’s most iconic and successful private companies. Back in the Soviet Union, Friedman was a well-educated manager at a military establishment that produced electronic equipment for submarines and military airplanes. He was only 20 years old and managing about 400 employees. At age 23, Friedman wanted to expand his horizons. In 1975 and 1976, the authorities of the Soviet Union allowed about 70,000 Russian citizens to immigrate to the United States in exchange for grain. This was one of the conditions proposed by the U.S. Congress, which allowed the sale of grain to the Soviet Union. The Soviet Union was struggling to feed its population due to poor crop growth. Friedman was one of those 70,000 immigrants. He jokingly adds: “I do not know exactly how much grain I was worth.” At the time, Friedman did not seek to come to the U.S. for economic reasons. He wanted to pursue his religious freedom and reconnect with his parents and brother who had already settled in Brooklyn, NY. While living in the Soviet Union, Phil imagined New York full of skyscrapers and modern infrastructure. When he first stepped on U.S. soil and was taken to his new home in Brooklyn, the reality was quite different. He stood in front of two-story buildings and mountains of garbage because New York was in its second week of a sanitation department strike. He found himself at the bottom of the socio-economic ladder. He says that if it had not been for his parents, he would have taken the first flight back to the Soviet Union. In order to jumpstart a new life in the States, Friedman went back to school. The State University of New York (SUNY) was running a special program for Eastern European professionals, and if you had an equivalent of a master’s degree, you could learn English in 6 months. As a result, he studied English and Data Processing simultaneously, 12 hours a day, five days a week. His wife studied Accounting at the same university. Sometimes a small thing can happen that will have life-changing consequences. Reading a classified ad in the New York Times would change Friedman’s life forever. He had no intention of becoming a programmer, he was just looking for a job. By chance, he came across a very small ad. He picked up the phone and called to ask for an appointment. Much to his surprise, they called him back. They initially thought Friedman was a potential customer, which disappointed the potential employer. As the conversation turned sour, Friedman pleaded with them to listen to his story. “After I explained my background, they said ‘We will call you back.’ I didn’t know what ‘We will call you back’ meant. The next four days I didn’t leave the house,” Friedman recalls. Friedman landed the interview and was then subsequently offered his first job. He knew it didn’t pay much at the time, but it was a start. When he arrived in the U.S., he and his wife only had $500 to their names. Half of his very first paycheck went directly to rent. He knew that now it came down to a matter of survival. In just two and a half years, he landed a job with the renowned garment manufacturer Charles Greenberg & Sons. He started as a programmer, was promoted to a systems analyst, and eventually ran the company’s IT department for several years. In 1981, the company bought the first online system called the System 38, which was a revolutionary online system from IBM. They also bought a software product from a company in California called ACS, which attracted a lot of Friedman’s future customers. Friedman successfully implemented the new data-management system and software at Charles Greenberg & Sons. At the request of IBM and ACS, he was spending a substantial amount of time consulting their potential customers. This is where the idea of building his own business came about. “If people traveled from all over the world to listen and seek my advice, I thought that there must be a business here. The vision was to build something on my own,” Friedman recalls. He wrote a four-page business plan to Charles Greenberg & Sons. 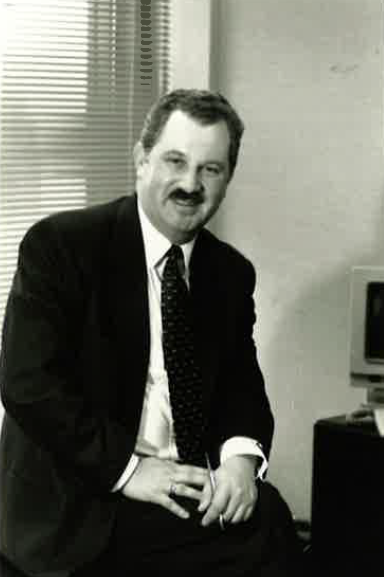 Friedman initially envisioned a business that implemented software for the fashion industry. He believed there was an opportunity to service mid-market companies in New York. In addition to presenting his business plan to his current employer, he was also going to ask for permission to take the five programmers that worked for him. This was quite a bold move. Friedman knew that he was putting his secure, well-paying job at risk. In exchange for accepting his offer, Friedman promised Charles Greenberg & Sons he would deliver the same level of high-quality service that the company was accustomed to for half the price. “My wife was absolutely convinced that I was making the biggest mistake, the management of the company would throw me out and I would get fired,” Friedman said. But Charles Greenberg & Sons’ CEO did nothing of the sort. Much to his surprise, the company liked the proposal and became Friedman’s silent partner on April 1, 1984. They wanted the young entrepreneur to call the company CGS (using the acronym for Charles Greenberg & Sons) and suggested that the company be called Computer Generated Solutions. That day, CGS’s very first outsourcing deal came to fruition. Charles Greenberg & Sons believed that Friedman could build a business. Little did they know that this five-person team would later grow to a team of over 7,000 employees in North America, South America, Europe, the Middle East and Asia. CGS now delivers many different services to its customers including software services, training, customer care and BPO services.